Pop That Super Bowl Bubbly!!! Win the Super Bowl … party like a BAWSE!! 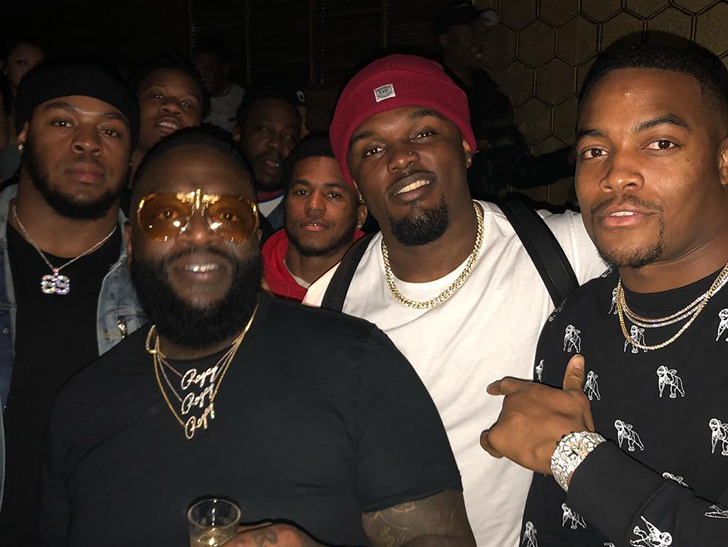 While Tom Brady and Julian Edelman are havin’ lightsaber fights at Disney World … their teammates got the VIP treatment at a Boston hot spot … complete with an appearance by Rick Ross!! Of course, Rozay LOVES the Pats — he was at the center of Gronk’s dance-off with Robert Kraft back in 2015 … and the rap star says he “puked his guts out” partying with Gronk when N.E. won in 2017. R.R. kept the tradition alive on Monday … linking up with players like Trey Flowers and Ja’Whaun Bentley for the rager… complete with a bunch of champagne and big cardboard cutouts of Bill Belichick‘s face!! The guys loved every second of it … keeping the party going all the way up to the parade on Tuesday. Partying with Rick Ross … that’s the Patriot Way.